An original Naoto Fukasawa design, Siena is produced by B&B Italia. 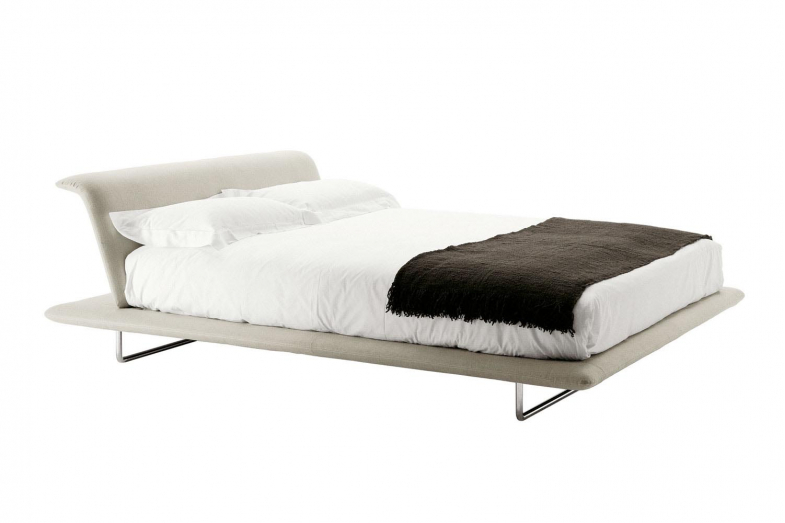 A light and modern bed, with an oversized perimeter for a floating effect. 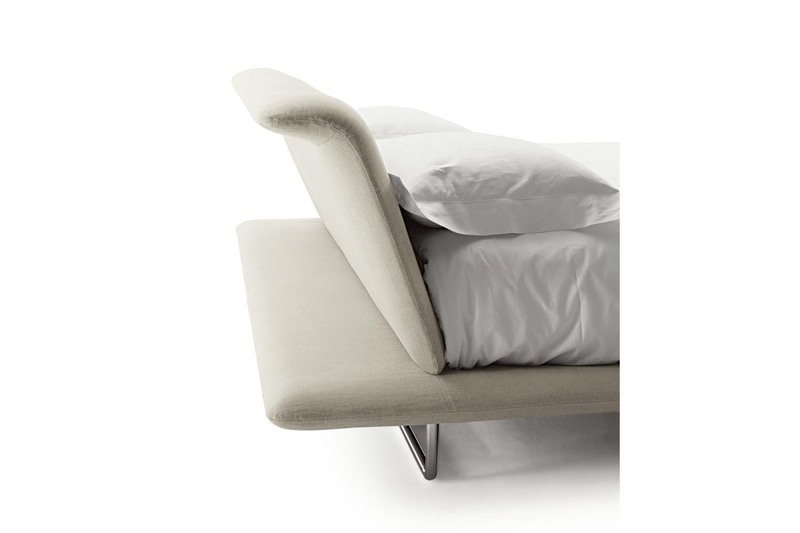 An essential look and a base and headboard in a drastically reduced size are the distinguishing features of Siena by Naoto Fukasawa which conveys a great sense of lightness, thanks to the base projecting from the whole perimeter of the bed. The top of the back panel inserted into the base features a short turned-up section where you can rest your arm comfortably when you are seated. Two tubular metal supports hold up the frame; a version is available with casters at the rear that make it easy to move. The base frame contains a metal mesh with pre-curved beech wood slats.